Has your husband/dad/papaw got way too many ties in the closet? Do some of them have spots and are no longer nice enough to be worn? Ready to find a new way to give a favorite tie some new life? Here’s a super simple idea that will turn an old TIE into a bookmark. This is so simple, you can make 1 or 10 in just a few minutes. Gift it with a new book for the man in your life or include it with a gift card to turn the traditional tie gift into a gift to remember. Pick out your favorite old tie. Measure about 14 inches from the bottom skinny part of the tie. Tuck in the cut edge so it won’t unravel. No sewing necessary. Make a knot in the end. Tuck it in a book or add a gift card. Give it to the man in your life. 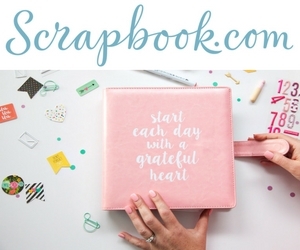 This is a super simple craft idea that will make a great gift. Bonus Idea: My dad recently weeded out his extensive tie collection. Since he has worn ties my whole life, I recognize many of the ties he wears on a regular basis. I think this would be a neat way to share some of those special ties with all the grandkids and family members. It would allow these ties to bring back memories every time you read a chapter in your book. 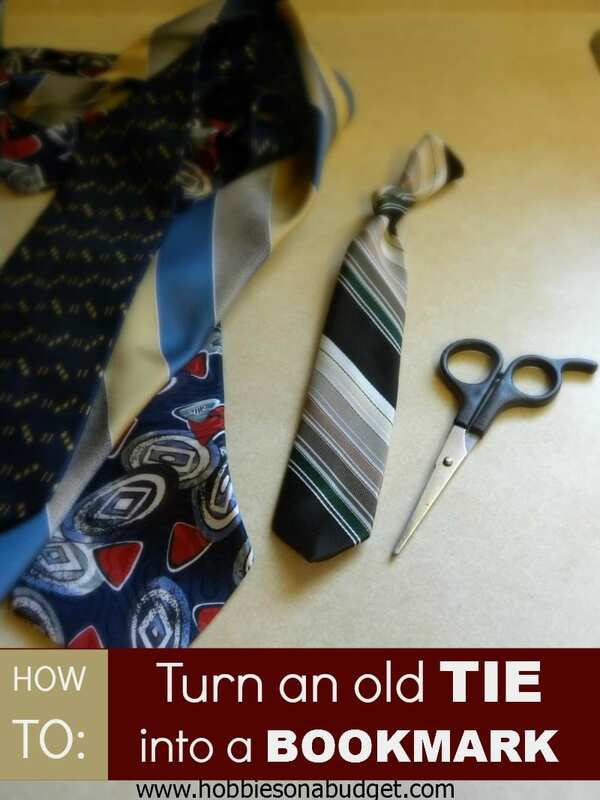 Have you ever done anything creative to recycle neckties? I’d love to hear (or see your ideas). That is super cute. I just donated some ties :(. I shouldn’t have now! !